Why Do Some Mosquitoes Have Long Legs (Such As A Giant Crane Fly)? Citronella: Mosquito Repellent Plant Or Useless Smelly Candle? Are Mosquitoes Attracted To Perfume? Mosquitoes and perfume, it’s a smelly story of attraction that never gets old. The scent in certain types of perfumes will definitely influence mosquito behavior. Scents and smells are something that mosquitoes are generally attracted to, but certain scents might also repel them. So what is it when it comes to perfume? Well, as it turns out, the many different perfumes out there will have many different outcomes in terms of female mosquitoes liking it or not. Before diving into the world of weird smells, please know that bites are not caused by the insect noses alone. It’s also based on many other factors, such as the blood type, what the temperature is like outside, or even just had a workout. There are so many things that will influence biting behavior, it’s impossible to list them all. So please take the information in this article with a grain of salt, as it’s just one part of the equation. Do Mosquitoes Like The Smell Of Perfume? Specific fragrances are known to attract mosquitoes. However, perfume is usually a neutral smell for these insects. Mosquitoes feed on nectar to survive, which makes them more attracted to sugar-like floral scents instead. A better attractant would be potassium, CO2, or similar smells, which female mosquitoes love. Most people are practically celebrating the idea that some unexpected substance could be used to influence the behavior of a mosquito. The truth is a little more boring, because most of the studies conducted around the subject matter only involve studies that can be questioned a lot. Generally, a 2-hour timeframe is used in most scent-based studies to indicate whether or not a smell is liked or disliked by an insect. What about longer expose through, and does anything change in the real word? The laboratory tests are all fun and enjoyable, but you could certainly say something about the usefullness of such claims when they aren’t exposed to the real-world. Nevertheless, a controlled environment an be useful to determine correlations. So let’s keep going and see where we strand on the infamous topid of “perfumes as a repellent agains insects”. Does Perfume Prevent Mosquito Bites? 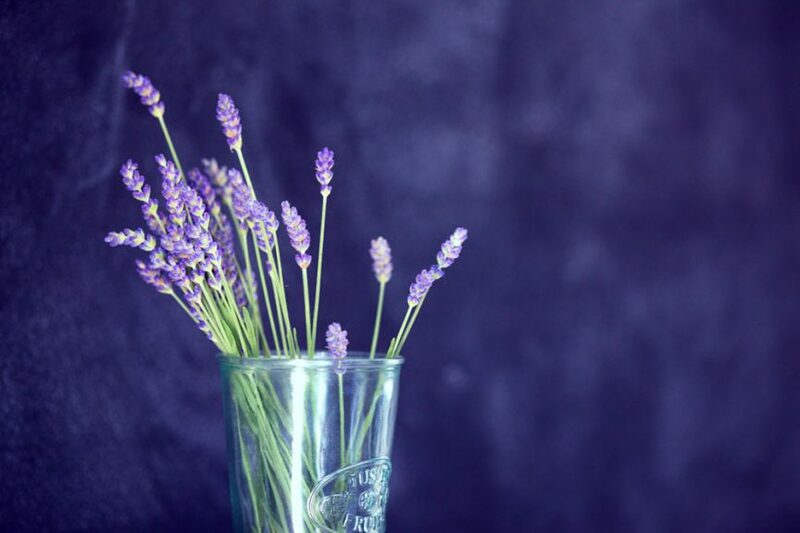 Perfume cannot prevent mosquito bites per se, however, it is possible for some fragrances to act as an effective repellent. Perfumes are not the best way to prevent insect bites, as they have not been specifically designed for this purpose. For anti-mosquito bite purposes, it’s better to choose a DEET-based product. When it comes to scent, perfume isn’t the most ideal thing to choose. In fact, I’ve previously written an extensive article on smells and scents that these blood-sucking insects particularly enjoy. Here’s the article that will provide you with 21 scents that will shoo away any uninvited miniature guest in and around your home. The only two known perfumes to effectively repel mosquitoes are Victoria’s Secret Bombshell and, ironically, Ivanka Trump’s eaux de parfums. Both contain natural mosquito repellents called methyl dihydrojasmonate and lilial. These are the active substances that will naturally deter a mosquito. The few scientific studies conducted on the subject all have a clear answer: While these two specific fragrances are indeed good to repel a mosquito, this does not mean that they are the absolute best. Traditional DEET-based substances or sprays will still work always work better. The scientists at the New Mexico State University did find that the perfumes were indeed better than something like citronella (or another citrus-type plant). The biggest buzz lately has been around the Bombshell perfume by Victoria Secret. But let’s look a bit closer at some of the other options within that brand and see if they as well can help to get rid of annoying biting insects for you. As it turns out, they actually don’t perform that well, which isn’t surprising because they have never been created for that purpose. They probably do smell really good, though. What Victoria’s Secret Perfume Repels Mosquitoes? Some people believe that all perfumes by Victoria’s Secret repel mosquitoes. However, only a fragrance called “Bombshell” is proven to be an effective mosquito repellent. Other perfumes by Victoria’s Secret do not have such properties, as they do not contain the active substances called methyl dihydrojasmonate and lilial. Maybe you’ve wondered how big the line of Victoria’s Secret perfumes is. Well, I certainly never did until today. As a guy, the world of fragrances is completely alien to me. But nevertheless, I’ve delved into the world to uncover which ones don’t repel mosquitoes effectively. There are plenty of other popular options out there that won’t do the job. For example, Victoria Secret fragrances like Heavenly, Love Spell, So In Love, Endless Love, really anything with the word love in any specific order will NOT be a good mosquito repellent. I do thing that derivatives of the original Bombshell fragrance (such as New Yrok Bombshell) can be a good repellent, but please don’t pin me on that. Directly spraying a mosquito with large quantities of perfume will kill a mosquito. However, this is not what most perfumes are meant for and it’s not a very effective method to kill a mosquito. Spraying perfume around will not kill mosquitoes, the fine mist from the fragrance is not the same as a mosquito fogger. There is nothing inside fragrances that will help you to kill those pesky bloodsuckers by itself. Sure, like we discussed there are some brands that will actively help to repel them. However, this does not mean they do a great job of removing a cloud of mosquitoes for all eternity, if you know what I mean. There are a lot more methods you can use to actually be more effective in destroying large quantities of everyone’s favorite insect. The last part of this article I will point you towards some of the ways that have worked best for me. I’m someone who has always been bitten non-stop my entire life. I’m the worst case scenario: Living in a swamp, very green garden and often a need to leave doors or windows open due to indoor ventilation. If I can get rid of them, so can you. Using an indoor trap: In case they’re already inside, use an indoor trap such as the popular Katchy right here on Amazon. That will surely get them wild and completely distracted from your delicious blood. Hire pest control: This is somewhat of an extreme method, but in this review, I showed you that it is possible and extremely effective! It’s a bit of an expensive solution though. But by far the best one. Bite remedies: If you’ve already been a victim of the biting army of doom, this is where you should start your journey to get yourself fixed up quickly. A great overview of bite remedies, both official products and natural homemade solutions. Now, these are obviously just a handful of solutions out of many. On this blog, there’s also a comprehensive overview page where you can check out every single category of repellent or killing method out there. Find that effective repellent methods overview page right here. It’s something I try to update over time, so you can always be sure to get the latest and most effective solutions on the market today. If you’ve got a good solution you want me to test out, feel free to comment below and I’ll try to add it on that list at some point in the near future. Good luck fighting those pesky bloodsuckers, go get them! That’s how I like all of my mosquitoes, dead! Hi, I’m Arnold, a regular guy that mosquitoes love to bite. Living in a foresty swamp area doesn’t really help out with that. My yard is mosquito heaven, and this blog is my homage to the most annoying insects on Earth. This site is owned and operated by HHB Solutions. HHB Solutions is a participant in the Amazon Services LLC Associates Program, an affiliate advertising program designed to provide a means for sites to earn advertising fees by advertising and linking to Amazon. HHB Solutions is compensated for referring traffic and business to these companies.